via The Sisterhood – Wikipedia, the free encyclopedia. Hussey and Adams, who like Eldritch remained under contract with WEA Records, booked some studio time at Slaughterhouse Recording Studios in Driffield at the end of October 1985, recorded a four-song demo tape, and set up a new band. But the demo tape was rejected by the record company who were not convinced by Hussey’s singing talents. 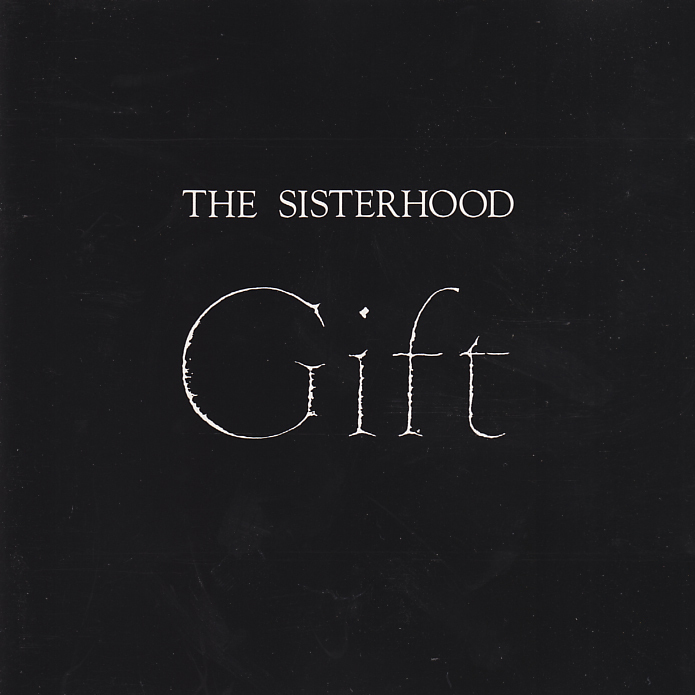 While Eldritch was in the studio, Hussey and Adams, who had taken over The Sisters’ roadcrew and equipment, announced their debut concert for 20 January 1986 which they were going to play under the new name The Sisterhood. Eldritch decided to secure the rights to The Sisterhood name as quickly as possible. He registered a company under the name  and prepared a record to be released on his own label. In only five days Eldritch recorded a song called “Giving Ground” which he co-wrote with Merciful Release manager Boyd Steemson and co-produced with Lucas Fox. Fox and Eldritch had met in the spring of 1985, when Fox was the stand-in drummer for Australian support band The Scientists on The Sisters’ UK tour. Eldritch recorded all instruments himself (guitar, bass, synthesizers and drum programming), while Fox programmed some additional percussion tracks. Hussey and Adams had to give up The Sisterhood name. A radio session for the Janice Long Evening Show on BBC Radio 1 on 10 February was broadcast under the provisional name of The Wayne Hussey and Craig Adams Band, and at the end of February 1986 the new name The Mission was announced. Sounds magazine reported on 20 February 1986 that “a new 12 inch EP called ‘This Corrosion’ will soon be in the shops, featuring the same line-up but with the addition of a mysterious and so far undisclosed American vocalist.”  This 12 inch single even appeared in German music paper adverts as “available soon”. Recording took place at Fairview Studios near Hull with in-house engineer John Spence. American vocalist Alan Vega, who had made friends with The Sisters in 1983, and undertook a solo tour through the UK and Europe during February and March 1986, recorded one version of the song, other vocal takes featuring James Ray and Andrew Eldritch are in existence as well. On 25 December 2006, former James Ray and the Performance member Carl Harrison uploaded a 9 minute Eldritch version of ‘This Corrosion’ (“I was recording in the same studio at the time”) on the internet, which is widely available since. The projected 12 inch EP remained unreleased, instead the song “This Corrosion” in 1987 became The Sisters of Mercy’s comeback single. In March 1986, The Mission began negotiations with Phonogram Ltd. as WEA Records refused to release any material. So the band released the October 1985 demo tape in slightly re-recorded form as an independent single on 9 May 1986. The single (its b-side was titled “Wake (RSV)” as a nod to “Giving Ground (RSV)”) promptly entered the UK Indie Chart at no. 1. WEA Records had to release The Mission from their contract. Both Andrew Eldritch and The Mission still had a publishing contract with RCA Records from their days in The Sisters of Mercy. A sum of £25,000 for one studio album was payable for the year of 1986 in an Advance against royalties deal, so RCA decided to split up the money to the two concerned parties. “Giving Ground” was included as an extended remix on the album, the only track featuring James Ray. Alan Vega gets a credit on the album cover but it remains unknown whether he made any contributions to the recording. He was possibly part of the “Chorus of Vengeance” on the track “Rain from Heaven”. In July 1986 Eldritch put the album out on his Merciful Release label to unanimously negative press reactions. The album did not accomplish its purpose, as RCA Records dissolved the publishing contract with Eldritch  and decided to keep The Mission instead.